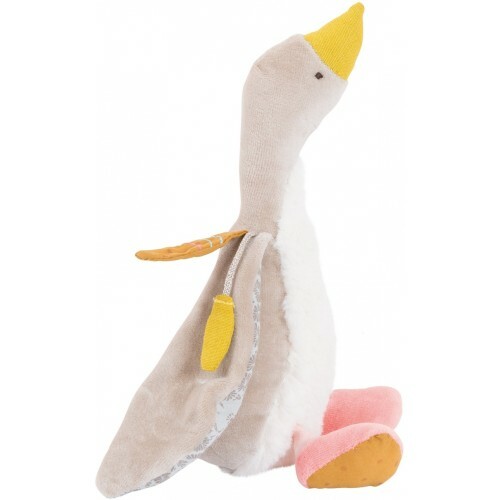 Le Voyage d'Olga is a collection of delicate soft toys embellished with embroidery. 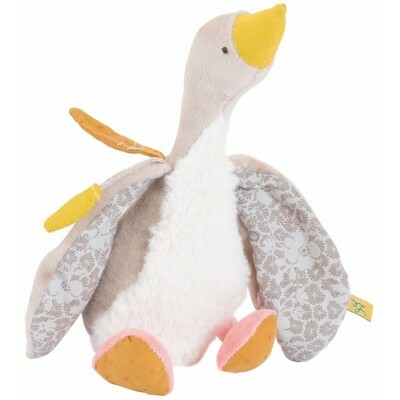 Discover Fléchette, the little wild goose with soft cream-coloured plumage and wings in velvet and floral-printed cotton. She wears feathers around her neck as good luck charms to offer to those she meets during her travels. This plush will please little travellers! Dimension: 23 cm. Materials: Cotton, polyester, elastane, linen. Suitable from 1.